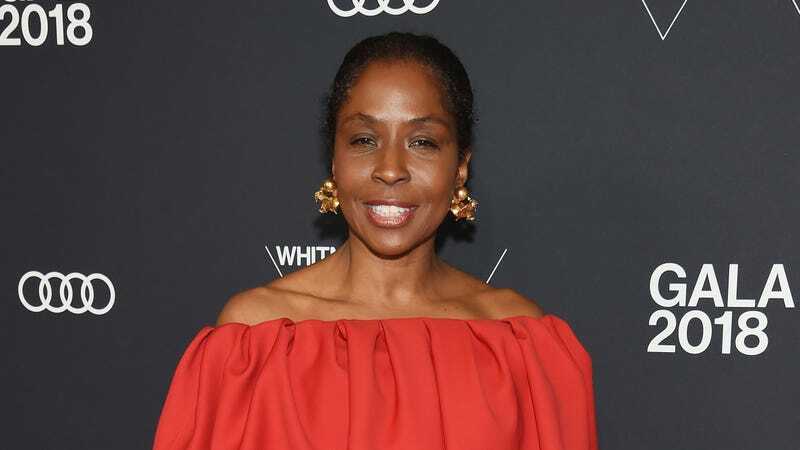 Honoree Artist/Photographer Lorna Simpson attends the 2018 Whitney Gala on May 22, 2018 at Whitney Museum in New York City. She’s a visionary who envisions us wholly; artist Lorna Simpson has been announced as one of 2019’s recipients of the J. Paul Getty Medal, the highest honor of the J. Paul Getty Trust, alongside Classicist Professor Mary Beard and fellow artist Ed Ruscha. The Brooklyn, N.Y.-born Simpson has been a force in the art world virtually since her emergence on the scene in the mid-1980s. With a BFA in photography from New York’s School of Visual Arts and an MFA in Visual Arts from the University of California San Diego, Simpson’s work combines her incredible technical skill as a photographer, collagist, poet and more with cultural critiques on race, gender, history, environment, intersectionality, representation and identity in America. Her arresting visual work has often been punctuated with Simpson’s own viscerally moving original text. Three decades into her acclaimed career, Simpson is globally recognized as one of the leading voices in the contemporary art world. Her work has been exhibited around the globe, including at the Museum of Modern Art; the Museum of Contemporary Art; the Museum of Contemporary Art; the Whitney Museum of American Art and the Guggenheim Museum. Simpson also has the distinction of being the first black female artist to be included in the 44th Venice Biennale, in Venice, Italy in 1990, included again for the 56th. Lorna Simpson attends PAMM Art Of The Party Presented By Valentino at Perez Art Museum Miami on April 1, 2017 in Miami, Florida. Simpson will be presented her medal in September at the Getty Center in Los Angeles.